No matter how much you love playing music, you’ll inevitably run into the problem that all musicians face at one point or another: the age old dilemma of figuring out how to make practicing music fun and prevent it from feeling like a chore. Regardless of what your music goals are, you’ll certainly need practice, and lots of it — but practicing your instrument shouldn’t feel like going to the dentist…it should be fun! If you’ve noticed that your instrument practice has started to feel like a dreaded, but necessary evil, it’s time to switch tactics. Transform your practice sessions from drudgery to delight by following these proven techniques that are guaranteed to make music fun again, and put a big smile back on your face…no pulling teeth or flossing required. 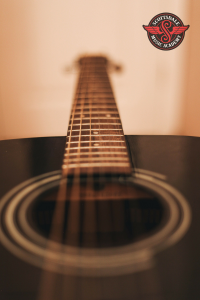 Music lessons play a huge role in shaping a musician’s skills, and are one way musicians can get in some concentrated practice time. But beware: not all music lessons are created equal. The key to making music lessons worthwhile is to find the right music instructor. Only by choosing the perfect music teacher will you stop thinking of music practice as a painstaking obligation, but rather a fun and enjoyable experience. A good music instructor (like the ones that lead our drum, keyboard and guitar lessons in Scottsdale) can make even the most challenging and laborsome musical task more pleasant and rewarding than it otherwise would be. Making music practice fun again can also be achieved by setting practical music goals and challenging yourself to reach new heights. 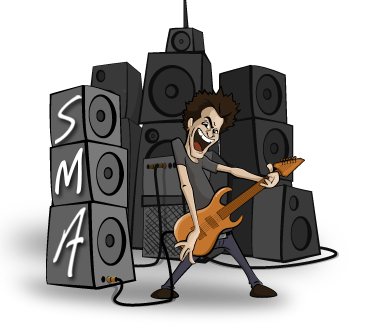 Rather than setting one large, daunting goal for your musical aspirations, try setting small, daily goals for your practice sessions instead. By challenging yourself with manageable, specific goals, you’ll gain more immediate gratification once those goals are met…making you more inclined to stick with it and see how far you can push yourself. You can even track and reward your progress by treating yourself to small goodies once major milestones are met. Gamifying your practice session will instantly makes it more fun and thwart practice boredom from setting in. To say that practice is essential for musical greatness would be an understatement; in reality, it’s more than essential…it’s mandatory. But if you can learn how to make practice fun, you’ve already won half the battle. 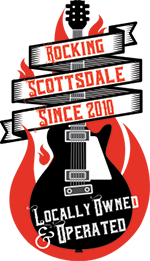 For help with the other half, contact Scottsdale Music Academy, home of the best guitar lessons in Scottsdale and the original source for making practice fun.